Slip 2000 Carbon Killer was designed with your health and safety in mind. 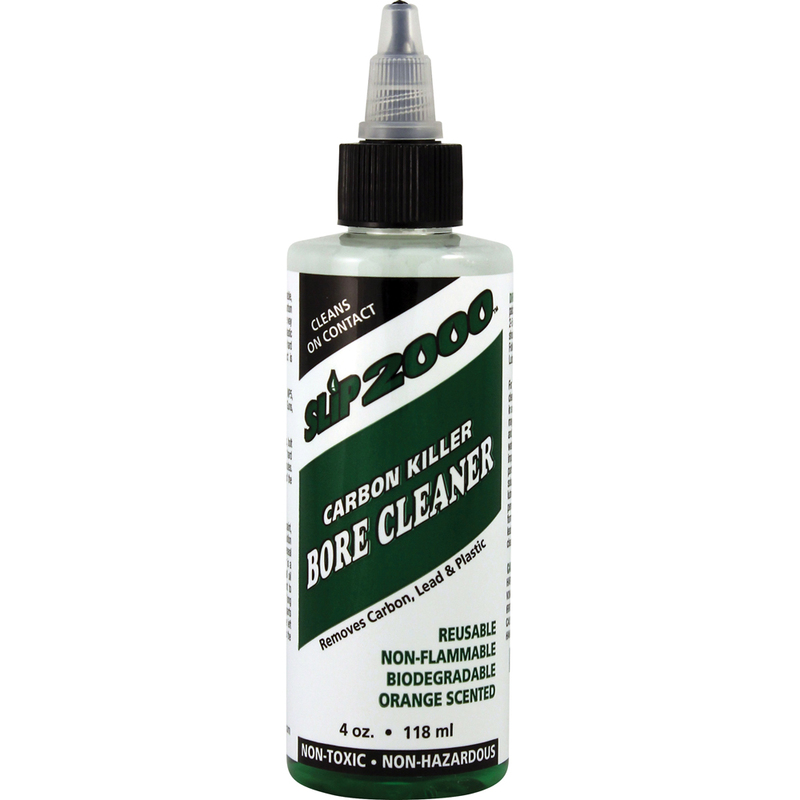 Unlike other gun cleaners, this product is non-flammable, non-hazardous and biodegradable. Carbon Killer provides you with a safe effective way to clean carbon, lead and plastic wad fouling. Slip 2000 Carbon Killer keeps working even when it becomes dirty. If stored properly one jar can be used again and again providing many cleanings. All weapons including revolvers, pistols, 37mm and 40mm Gas Guns, automatic and semi-automatic weapons like M-16, AR-15, MP-5, and all Machine Guns like the AK-47 and 249-SAW. Carbon Killer works fantastic as a bore cleaner. Use it to remove all of the carbon, lead and plastic that has built up in your bore. For best results completely submerse parts in Carbon Killer and allow to soak for 5 to 15 minutes. Remove parts and wipe, brush or rinse clean. It's that easy. Depending on the frequency of cleaning or type of ammo used a second soaking may be required as well as a light brushing. For larger parts that will not fit into the jar or soaking tray, saturate a rag in Carbon Killer and apply to area that needs to be cleaned and allow product to sit for 2 to 5 minutes. When ready to clean soak a brush or rag with Carbon Killer and wipe or brush away carbon. Parts may also be rinsed clean under hot water. After cleaning, always re-apply a Slip 2000 Lubricant to metal surfaces and allow to penetrate pores of metal. SLiP2000 lubricants will form a barrier and help keep carbon, lead and plastic from sticking. Your next cleaning will take half the time.